TOURIT Insulated Cooler Backpack Only $27.99 Shipped with code! What a cool backpack!! Head over to Amazon and get this Tourit Insulated Cooler Backpack for Only $27.99 Shipped! Keep in mind that the sale list price is $39.99, but if you use the code TRTCOOLER at checkout, it will bring your price down to $27.99 Shipped! Whether you have strong interest in road/ beach trip, picnics or daily hiking? The TOURIT insulated backpacks is your best partner for all types of outdoor events. 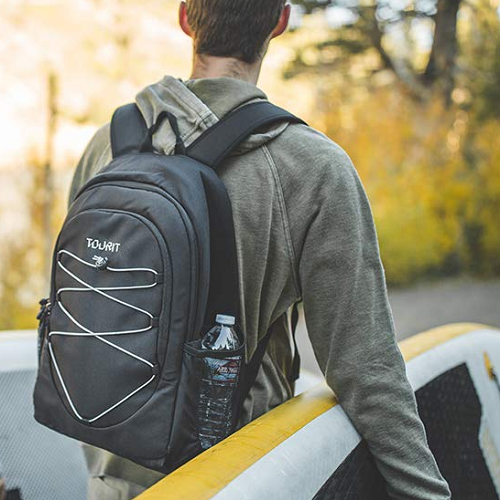 The stylish design of our backpack with cooler make it also can be used as a insulated lunch backpack or daily pack for work, day trip or weekend day.